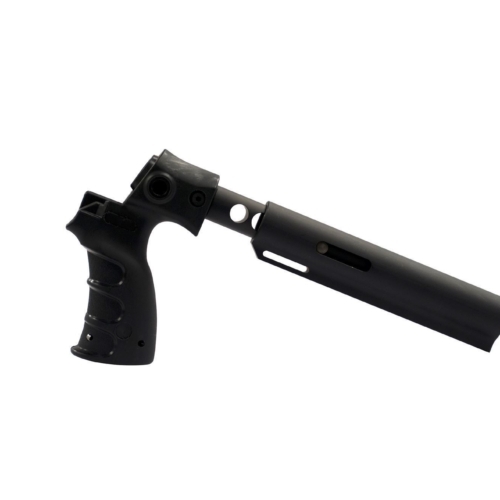 It’s a two-piece grip that does not require a Picatinny rail for mounting. 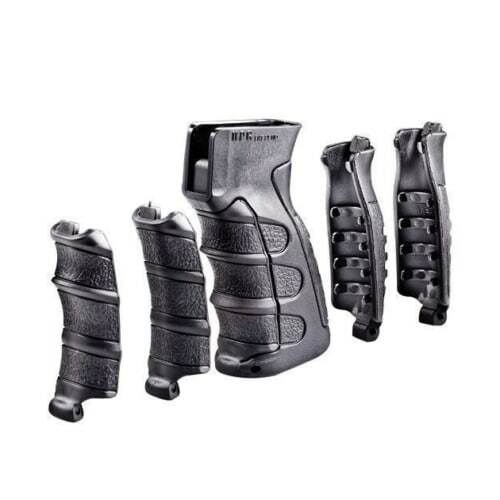 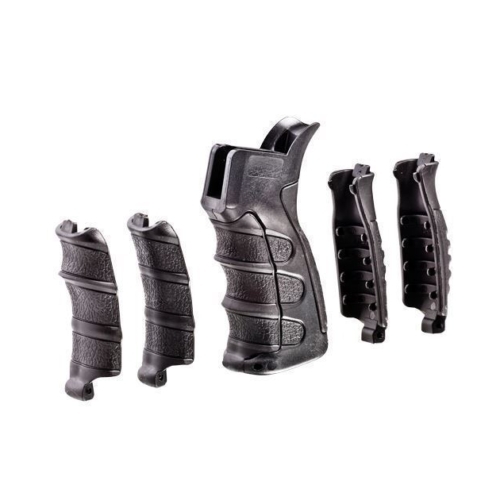 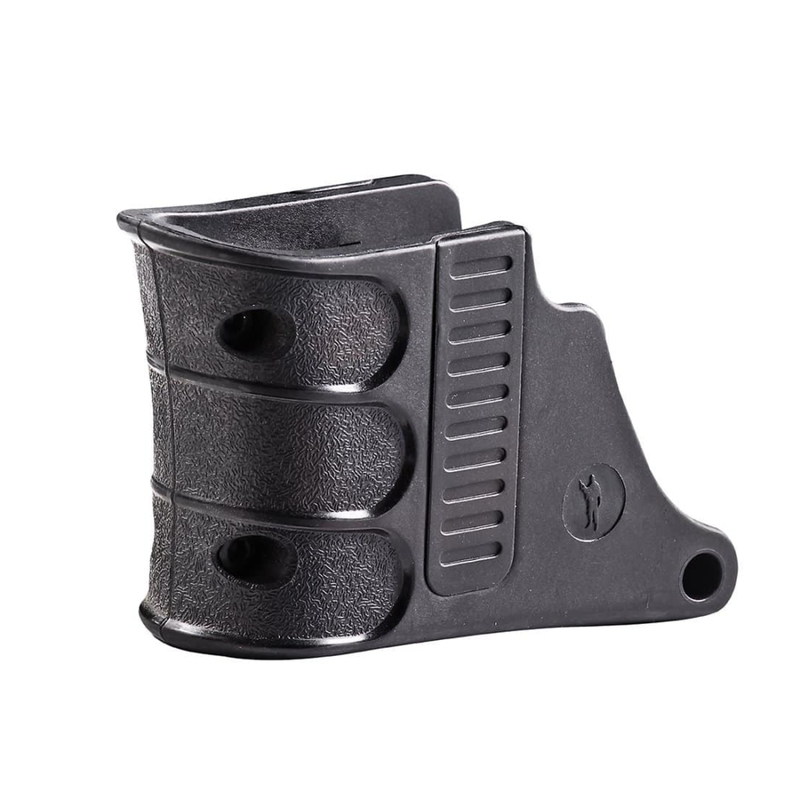 Just tighten the lightweight 3.2 oz grip around the magazine well and you have comfortable finger grooves and two removable covers for the recessed pressure switch mounting channels. 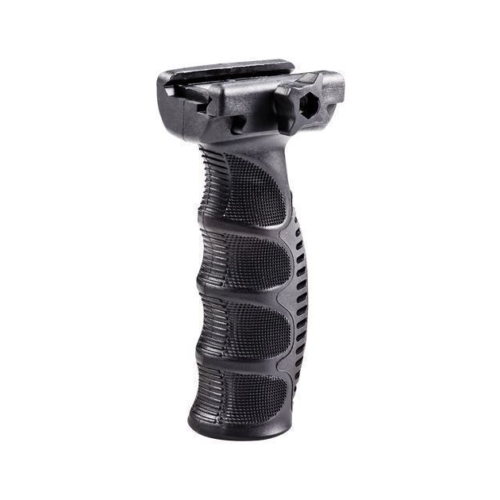 Once is ambidextrous grip is positioned at a balancing point on the rifle, it can provide the operator with a comfortable no slip carry option.